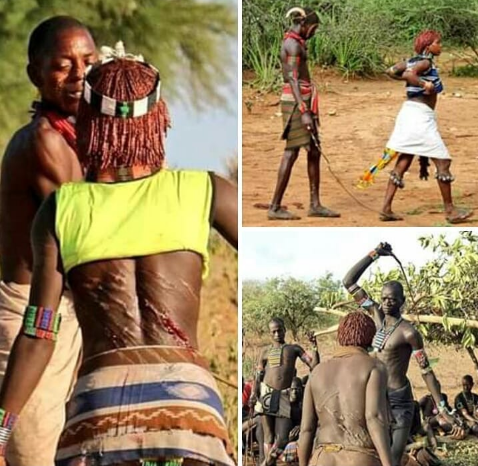 Who invented this kind of culture and to achieve what purpose? 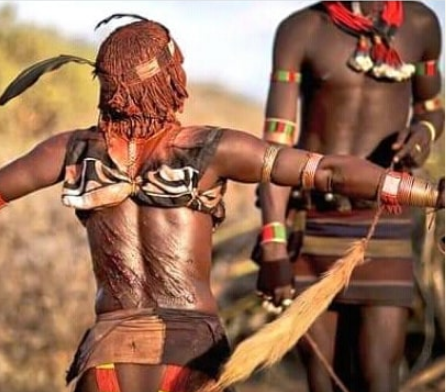 Women from the Hamar tribe in Ethiopia are whipped to show their love for men going through Rite of Passage ceremony. The beatings go on until their backs turn bloody. They are not allowed to scream.